Increasing levels of driving automation has changed the role of the driver from active operator to passive monitor. However, Systems Design has been plagued by criticism for failing to acknowledge the new role of the driver within the system network. To understand the driver's new role within an automated driving system, the theory of Distributed Cognition is adopted. This approach provides a useful framework for the investigation of allocation of function between multiple agents in the driving system. A Systems Design Framework has been developed that outlines how the Distributed Cognition paradigm can be applied to driving using both qualitative and quantitative research methodologies. Introduction to Automobile Automation. On the Road to Full Vehicle Automation. Adopting a Systems Engineering View in the Design of Automated Driving Features. Exploring the Use of Verbal Protocol Analysis as a Tool to Analyse Driver Behaviour. Contrasting Models of Driver Behaviour in Emergencies Using Retrospective Verbal Protocols. 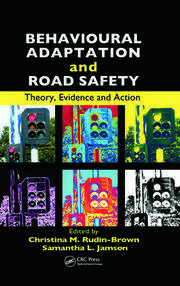 The Effect of Systems Design on Driver Behaviour: The Case of AEB. What’s Next for Vehicle Automation? From Design Concept through to Prototype. Discovering Driver-Vehicle Coordination Problems in Early Stage System Development. Driver-initiated Design: An Approach to Keeping the Driver in Control? Future Work on Automobile Automation. Dr. Victoria A Banks is Research Fellow in Human Factors Engineering at the University of Southampton. She was recently awarded her Engineering Doctorate by the University of Southampton in 2016 and also holds a BSc Psychology (Hons) award. Her research interests include modelling, analysing and evaluating the Human Factors implications of increasing levels of autonomy on driver behaviour. She has published over 10 articles related to the field of automobile automation and, in 2014, Dr Banks was invited to speak at the Transport Select Committee Event at Southampton University, from which, she was invited to write an article for ITS International. Dr Banks has previously worked with one of the largest vehicle manufacturers in the UK and was involved with the design and development of future automated technologies. Professor Neville Stanton, PhD, DSc, is a Chartered Psychologist, Chartered Ergonomist and Chartered Engineer. He holds the Chair in Human Factors Engineering in the Faculty of Engineering and the Environment at the University of Southampton in the UK. He has degrees in Occupational Psychology, Applied Psychology and Human Factors Engineering and has worked at the Universities of Aston, Brunel, Cornell and MIT. His research interests include modelling, predicting, analysing and evaluating human performance in systems as well as designing the interfaces and interaction between humans and technology. Professor Stanton has worked on design of automobiles, aircraft, ships and control rooms over the past 30 years, on a variety of automation projects. 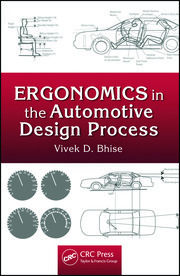 He has published 35 books and over 270 journal papers on Ergonomics and Human Factors. In 1998 he was presented with the Institution of Electrical Engineers Divisional Premium Award for research into System Safety. The Institute of Ergonomics and Human Factors in the UK awarded him The Otto Edholm Medal in 2001, The President¹s Medal in 2008 and The Sir Frederic Bartlett Medal in 2012 for his contributions to basic and applied ergonomics research. The Royal Aeronautical Society awarded him and his colleagues the Hodgson Prize in 2006 for research on design-induced, flight-deck, error published in The Aeronautical Journal. The University of Southampton awarded him a Doctor of Science in 2014 for his sustained contribution to the development and validation of Human Factors methods. "Automotive automation is changing what it means to drive, revealing new opportunities, but also huge challenges in defining the role of the driver. This book provides the concepts and tools needed to define this role. Banks and Stanton expertly weave well-proven task analysis techniques with new ways of thinking about human-technology relationships. This practical and innovative thinking is just the combination needed to redefine driving to benefit drivers." "Vehicle automation is coming over the horizon faster than many of us thought possible. This essential and timely book gets us back on terms with the inevitable human performance implications. Using first-of-a-kind studies, from the simulator, through the test-track, to the open road, it is clear those implications are both profound and exciting. Banks and Stanton have produced a stellar book that takes us on the journey towards Automobile Automation." "Automobile Automation is the first book of its kind to take a systems approach in tackling the thorny Human Factors issues associated with highly automated vehicles. 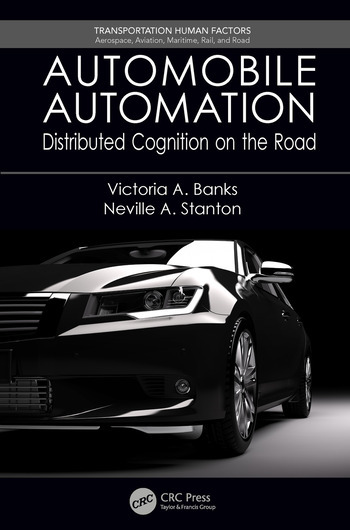 Using Distributed Cognition as their theoretical framework, Banks and Stanton have produced an insightful and highly practical piece of work that will assist researchers and practitioners in the design and evaluation of automated vehicle systems. A particularly innovative feature is the use of predictive modeling techniques to forecast the behavior of future automated driving systems. This highly useful book will be relevant throughout the transition to fully automated transport systems. All those with an interest in automation and transportation safety should read it and reap the benefits." "This book is intended for a broad audience, with the tone most often skewing toward the academic. It would be especially useful reading for newcomers to automobile-automation research as it gives a succinct overview of the current issues, related research, and appropriate tools to study driver perceptions and behaviors. 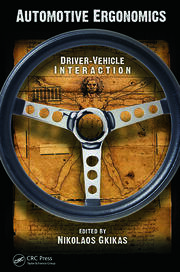 This book could be used as a reference guide for researchers but would also be a great introduction to human factors for automobile automation for nonacademic or researchers in other fields."